From eating your trash to stealing your prized vegetables from the garden, pests can be a major pain. However there are a few important things you can do to help keep them from targeting your yard in the first place. So before you decide to pull your hair out or call a professional pest control service you’ll want to follow these tips. For many pests you can help to keep them from entering into your yard in the first place by simply installing the right fencing. However when planning your fence, you will need to take into account the specific pest species you are trying to keep out and purchase accordingly. That’s because while some pests are excellent climbers other may be top-notch diggers or jumpers. Or even a combination of these. For instance if you are trying to keep out deer, you’ll need a fence that’s quite high. Generally that means around eight feet tall or higher. 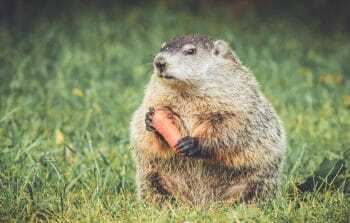 Burrowing animals such as groundhogs may require that you have several feet of fencing installed underneath the soil as well. If you don’t have the budget to fence in your entire yard, you can often get away with only fencing-in the areas that pests are attracted to such as your vegetable garden or specific trees. The majority of pests are naturally afraid of predators. And you can use this to your advantage by placing a predator decoy in your yard. When added in a visible spot, they can be an extremely helpful deterrent as most pests won’t want to risk becoming lunch for a hungry predator. Fake hawks and owls are commonly used to keep various types of rodents and birds among many other animals away. For backyard water sources such as swimming pools, hot tubs, and ponds you will want to use a fake aquatic predator such as an alligator decoy. These are especially effective for herons and raccoons. But they also are used very successfully against all types of waterfowl as well. Gator decoys float and may be made to look like the whole body, partial body or just the head of a gator. Interestingly gators seem to strike so much fear into pests that sometimes a statue can work as a deterrent as well. However, you will need to choose one that is as realistic as possible such as a resin alligator statue not something made from bronze or cement. While you may not have complete control over what animals come in and out of your yard, with a little work and routine maintenance you can help to make it much more unappealing to them. For instance by keeping your grass short and cutting back any brush it won’t provide them much cover to hide. Brush piles should be removed and any old burrows filled in so that pests aren’t tempted to move right on in. You should also be sure repair or cover up any openings or spaces in fences, sheds, and garages where animals may be able to squeeze inside. One of the biggest reasons pests are attracted to your yard is simply because there is food available. This often comes in the form of pet food when dog and cat owners feed their pets outdoors. After feeding your pets all extra food should be thrown away and food bowls should be cleaned. Storing bags of food indoors or in a locked container is also essential. And don’t forget to place all of your trash bags in garbage cans and close the lids tightly. A bag of trash left out is no match for a hungry pest with sharp claws and teeth. And if they know there is garbage to eat, they will come back regularly to do so. By taking some time to apply the ideas above you can help to protect your yard from a range of different pests. Just like the old adage says, “an ounce of prevention is worth a pound of cure.” And when it comes to deterring pests it’s no different.